Interesting review of the Kestrel Drop D3 by Mike Gormley, in the July 2015 issue of Combat and Survival Magazine . ‘Outwardly, this is a simple little device’. 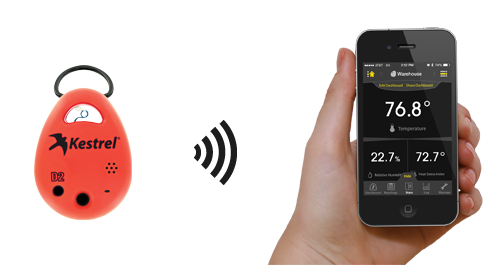 The Kestrel Drop range are wireless data loggers that work in conjunction with your smartphone or tablet (iPhone, iPad). The Kestrel Drop D3 records Temperature, Relative humidity, heat Index, Dew Point, Station Pressure Density Altitude, Pressure Trend, ‘A lot for a very small device’. Download the Free App and read all the info via BLE (Bluetooth Low Energy). Mike reviewed the Kestrel Drop while on a camping trip on Dartmoor in January this year, the Kestrel was useful in recording and showing the overnight temperature drop Brrrr!